Social Media Marketing: The Hashtag Test - When Is It Too Much? Hashtags are wonderful social media marketing tools. They can highlight trends, tie campaigns to chosen keywords, and isolate conversations. The allure of the hashtag is strong, especially for brands that desire a customized platform for their content. Twitter (and, to a lesser extent, Facebook, Instagram and Google+) thrives on hashtags for everything from primetime TV shows to organic political movements. However, like all good things in life, the hashtag should be used in moderation. The pound sign carries great power, but only if deployed responsibly. TechCrunch’s Jordan Crook bluntly referred to users who abuse the hashtag as “hash-holes.” Avoiding that label requires an understanding of where the hashtag is most beneficial in messaging – and where it should never be deployed. What is the purpose of your hashtag? Is it merely to capitalize on a common or trending phrase, or does it have a direct connection with your brand’s products and services? Jumping on a fast-moving topic is good newsjacking practice, but there must be an end goal with the tag’s usage. 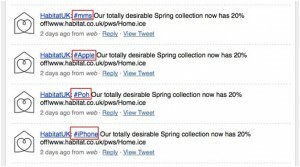 In Twitter’s earlier years, a British furniture store attempted to capitalize on trending topics by including respective hashtags in their messages – without any real connection to the promoted product. HabitatUK’s audience was understandably annoyed by the chain’s poor hashtag strategy. The story has since cemented itself as a prime example of awful social tactics in general – the company didn’t acknowledge and correct the behavior for several days afterward. It’s far too tempting to throw in a hashtag just because it’s popular. If it doesn’t make sense with your message, the audience will reject it. Using existing trending hashtags may help bring short-term traffic to your landing pages, but the real benefits come from creating your own branded hashtags. Condense your company tagline, name or campaign into a short tag, and deploy it consistently with your messaging. Tie that tag to social campaigns, encouraging followers to use it for specific incentives. Over time, the audience will tie that tag to your brand, and you can track engagement via hashtag searches. Sharpie didn’t stray far from the brand when they created their company hashtag. 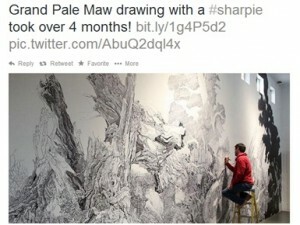 The #Sharpie tag, which uniquely ties to the company, was used to invite artistic submissions from followers. Users responded en masse, posting their creations and increasing Sharpie’s brand awareness. Sharpie benefited from their branded hashtag by promoting creativity and self-expression – concepts that align with their overall messaging strategy. Even if a branded hashtag doesn’t generate as much traffic as a generic tag, you have far greater control over its usage. Just reading that headline makes my head hurt. Hashtag overuse is a common error in social messaging, sending signals of desperation and inexperience. Abundance of hashtags in social posts has even encouraged some users to create websites dedicated to righting the practice. In short, more hashtags equals fewer interactions. Any brand that posts 10 or more hashtags in a status update significantly hinders reach ability and reputation management. One targeted hashtag that aligns with your buyer personas is far more powerful than 10 unrelated trending tags. Hashtag quality far exceeds quantity, even if the overall engagement numbers are lower. 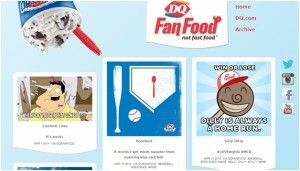 Dairy Queen utilizes a handful of primary hashtags for their social campaigns, both branded and non-branded. Their recent #LoveMyDQ campaign also leveraged more common hashtags like #cake and #chocolate – though within the context of their branded terms. Campaigns like #LoveMyDQ allow Dairy Queen to leverage a unique, targeted hashtag for creative responses from their target audience. They can then categorize based on hashtags for easier analysis and tracking. Seriously – just don’t do it. 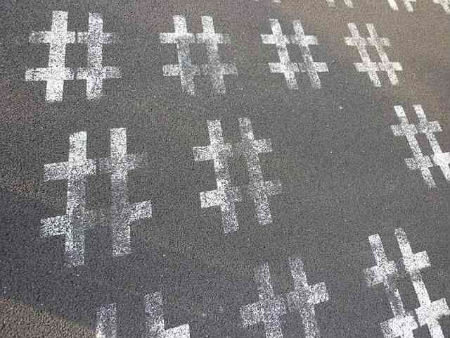 Proper hashtag use can ignite a campaign on social media, but improper use can irreparably damage your brand’s reputation. These examples should help clarify best practices for hashtags, and how to avoid the most common blunders. However, if recent reports from Twitter’s CEO are true, we might not need to deal with this issue much longer. Have you seen any other good (or terrible) examples of hashtag use from brands? Indeed — using too many hashtags is probably the highest on my list of social media faux pas. Good things always come in moderation. Thanks for the feedback! thanks for the post. It was a great lesson on my quest to learn social media etiquette. Personally i never put hash tags… But good to know they can be very useful for marketing, and we have to be careful with putting proper ones. Nick the first mistake seems like common sense, but so many make this grave error. I HT it when it is relevant, and I only use tags here and there to make my stream flow naturally. Good reminders here! Thanks, Ryan! You hit on the crucial point here — relevancy is key. 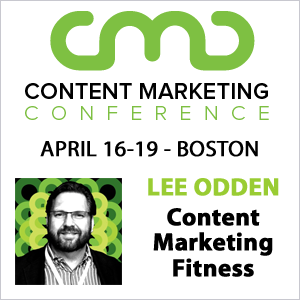 Hashtags can be a helpful resource when integrated naturally into your content flow. Glad you liked the tips! Well said Nick. We use only two hash tags in our postings and that’s enough. Our posts are within a tightly circumscribed subject. To go beyond two just looks clunky. Does anyone hash tag a word in the message and give it double duty? Good post and valid points. To be fair hashtagging is very over(ab)used but the #toomanywordsinatag can be used lightheartedly to get a point across as long as the recipient is aware of the brand personality. What do you suggest as a way to get your audience to engage with your hashtag? Should you introduce a call to action for example a random reward for brand hashtag use? Offering incentives for hashtag use is certainly good practice in the short term, on a campaign-by-campaign basis. I would caution against relying on incentives too much for general brand hashtags, though — or else your audience will only seek your account for the free goodies. Questions are always good calls to action, so ask your followers a industry-specific question and use the hashtag to collect responses. What you gather from these responses could then be integrated into the overall content strategy later. I’d highly recommend to anyone thinking of using hashtag to research first if that hashtag has already been in use and how it is being used, and perhaps to try to register it for easy tracking. Then use it consistently BUT in moderation. I like it that you used best practice, instead of rule. 🙂 Cheers! Hashtags is very useful and your post is amazin. THANK you! This post is Perfect!! I especially appreciate The #Sharpie Example!